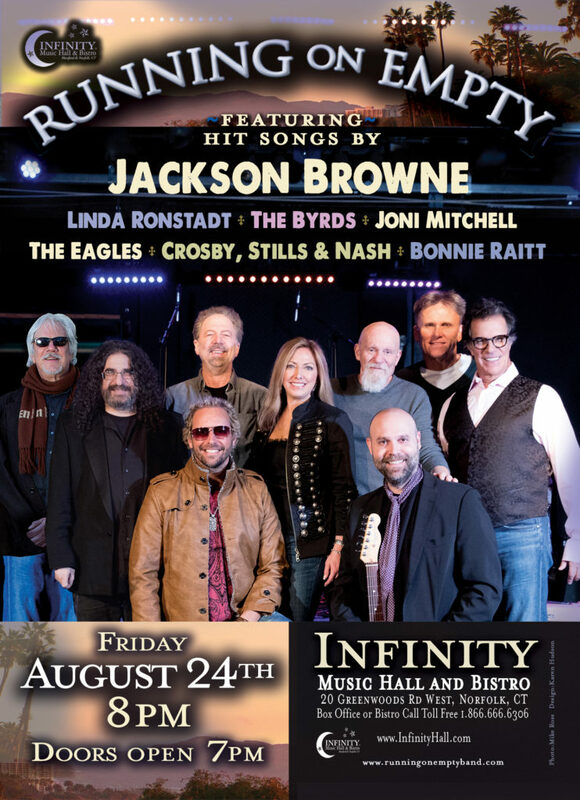 Running on…Running On Empty band will be bringing their breezy California vibe to Norfolk, CT, at the Infinity Music Hall and Bistro on Friday August 24th, 8PM. With a recent sell out show at The Kate, and a near sell out at Nelson Hall, come see how this fine band of musicians can transport you with hit songs by Jackson Browne, The Eagles, Linda Ronstadt, Crosby, Still, and Nash and more. All ages. Tickets $24-39. Beautiful theater! Next Post:Sheila Fabrizio meets Jackson Browne!